NEW YORK, January 31, 2016 – Today, Hudson Group, the largest travel retailer in North America and a wholly owned subsidary of Dufry AG, celebrated the grand opening of the Music City Beer & Spirits in the heart of Nashville International Airport (BNA). Located in concourse C, Music City Beer & Spirits serves as the first specialty retail location in a Tennessee airport to sell takeaway alcohol, a major step for the state’s flourishing craft beer, wine, and distillery industry. Music City Beer & Spirits also serves as the first Hudson Group location in North America to sell craft beer as a takeaway gift. During the grand opening event, airport and Hudson Group executives were joined by American Country Artist Phil Vassar, Singer and Songwriter Shawn Lacy, Alum of NBC’s “The Voice” Adley Stump, and Music City Beer Co.’s CEO Amy Millslagle. 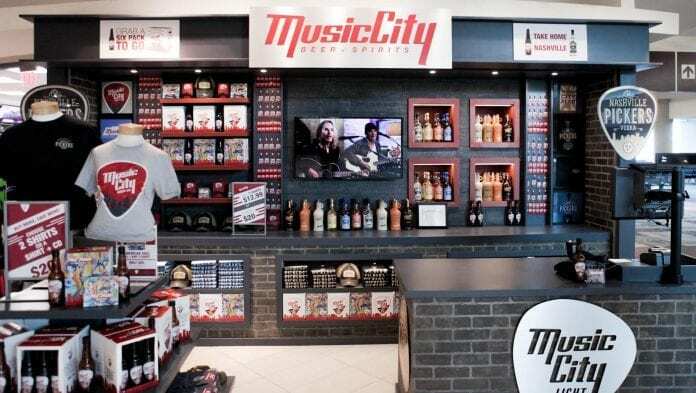 Music City Beer & Spirits will sell commemorative Music City Light craft beer takeaway six packs – available only at BNA – and souvenir merchandise including t-shirts, magnets, bottle openers, hats, shot glasses, guitar picks, koozies, and more. Nashville visitors can also purchase Tenessee’s-own first craft vodka, Pickers Vodka, and Whisper Creek Tennessee Sipping Cream at the location. The first commemorative Music City Light six pack features country superstar Phil Vassar and highlights his new album, American Soul. While the beer can be purchased throughout Nashville, the BNA store currently serves as the only location for commemorative boxes and merchandise. Additional commemorative boxes celebrating artists and Nashville landmarks will be unveiled every few months. In 2016, 12.9 million passengers flew out of BNA, setting a new all-time passenger record for the calendar year. “Given the tremendous growth in passenger traffic, it was the perfect time to bring local craft beer and spirits into the airport corridor – and allow travelers to bring Music City Light beer and Pickers Vodka, the local taste of Nashville, home to their final destinations,” says Millslagle. 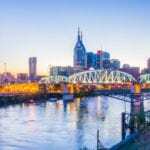 Music City Light is currently in numerous Nashville restaurants and bars including Losers & Winners, Tootsies, The Stage, Tin Roof, Gaylord attractions, Bridgestone Arena, and Frugal MacDoogals.